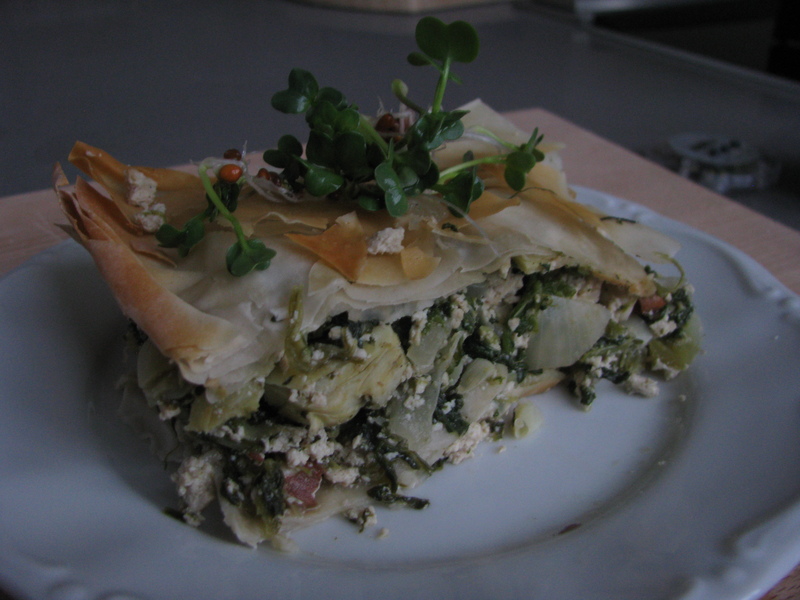 FFV´s Spinach and Artichoke pie | Fork off, heart disease! I have been having a lot of fun going through Susan Voisin´s blog over at FatFree Vegan Kitchen. The problem is that there are so many delish recipes that one doesn´t know where to begin! But when I saw this gem, I knew I had to give it a go. And I tell ya, this pie is good, damn good. I agree! I discovered Susan’s blog a couple of weeks ago and love everything I have tried, but this is my favorite (my husband’s favorite is the Creamy Broccoli and Rice, if you are looking for another good one http://blog.fatfreevegan.com/2011/11/creamy-vegan-broccoli-and-rice-casserole.html), so delicious and non-vegan friendly too. Yum! Have any of you made this ahead of time and refrigerated it? I want to make it for a dinner party, but won’t have time to mess with it last minute. Hi Debra! That’s a great question. Unfortunately I made it fresh and did not refrigerate it. But enjoy your dinner party! This dish certainly is a crowd pleaser. Thanks Monique… I’ll have to make it another night for me and my husband….don’t want a big flop for a big crowd, because I did it early! !